The St Vincent de Paul Society was founded in Paris by a 20 year old student named Frederic Ozanam in 1833. At the time, France was experiencing tremendous political and social upheaval. As a young student, Frederic Ozanam had to walk through the poorer suburbs on his way to university lectures each day and was inspired to respond in a practical way to the situations he saw around him. Frederic Ozanam gathered a few friends and began visiting people in their homes offering them friendship and support. The small group became known as the St Vincent de Paul Society named after the Patron Saint of Christian Charity. Today, the St Vincent de Paul Society is an international organisation operating in 149 countries. The St Vincent de Paul Society was established by young people and this compassionate outlook, enthusiasm and vision continues today. The title Vinnies Youth is given to the young people aged 16-35 who volunteer for the St Vincent de Paul Society Australia. ‘It starts with us’ was the theme for National Youth Week 2015 held from 10-19 April. During the week, the St Vincent de Paul Society also marked Youth Homelessness Matters Day (YHMD) on 15 April by issuing a media release calling for radical action to address the fact 60 per cent of the homeless population are under the age of 35. Vinnies CEO, Dr John Falzon also took part in this media interview to highlight the issue. The St Vincent de Paul Society would like to acknowledge the thousands of young people who every day share their time, talents and energy to make a difference in the lives of people experiencing hardship. 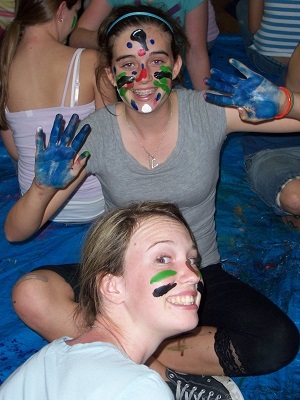 Vinnies Youth Support Programs such as camps are inspiring and rewarding programs which allow volunteers to make a real difference in the lives of young people aged 8-15 years. Vinnies Youth volunteers plan and run camps throughout the year for children and teens from families who have received assistance from the Society. The camps range in length from four to five days and are aimed at providing recreational activities for young people within a safe and encouraging environment. For many children who access the programs of Vinnies Youth, life at home can be challenging and the opportunities for them to be carefree kids are often few and far between. On camps, these young people have the opportunity to laugh and have fun, while their guardians receive much needed respite. This is made possible through the energy, creativity and dedication of Vinnies Youth volunteers. 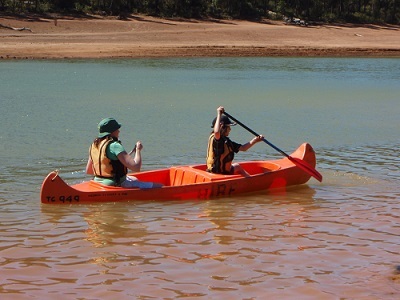 On 13-16 April, over 40 young people were given the chance to have fun and learn new skills on their April school holidays at a location 60km south of Perth. The theme for the camp – Reality TV -was chosen by a previous camp participant. The activities planned drew on such shows as Masterchef, The Block and Antiques Roadshow and aimed to instill confidence, develop trust, foster teamwork and build self-esteem with the children. Each camp takes roughly two months to plan and coordinate – this huge effort equates to over 2,500 volunteer hours. The enthusiastic and inspiring young people juggle their volunteering around university, part-time work and even their own social and family commitments to offer their evenings, weekends and in some cases annual leave to add joy to the lives of others. Volunteers form committees and undertake many tasks including liaising with parents and guardians, campsite selection, deciding on the games and activities, preparing risk assessments, itineraries, reward systems and rosters, undertake training and everything required to ensure the camps are a great success and full of unforgettable and positive memories. In-kind support is also welcome. To find out more about Vinnies Youth programs in your area, contact your local St Vincent de Paul Society.